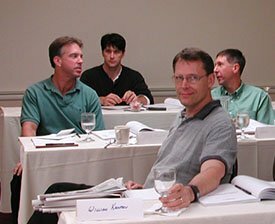 Certified Telecommunications Network Specialist: Six courses, unlimited course and exam repeats, TCO Certification, Certificate, Letter of Reference. 30-day 100% money-back guarantee. Register and pay in advance and save $100! Get a Telecom 101 Textbook shipped to you, free. Register and pay in advance and we will immediately ship you a professionally-bound copy of the five-star-rated Telecom 101 textbook, free! Get started studying, and a valuable reference book. Register and pay in advance and get immediate access to the online courses for the certification included with your seminar registration. Get a discount on CTNS certification plus wireless certification. Package deal: put both products in your cart then apply coupon 1258. 1. Click here to add CTNS to your cart. 2. Then hit the back button on your browser to come back here and click here to also add CWA to your cart. 3. With products L4210 and L4213 in your cart, proceed to checkout. 4. Apply coupon 1258 to get the discount and check out. CTNS, CVA, CWA and CTA for $656: save $300. The ultimate in telecommunications training, and recognition of telecommunications knowledge. The CTSME Certification Package includes the courses and exams for CTNS, CTA, CWA and CVA, at a discounted price, with unlimited repeats and no time limits. Passing the four exams earns you the distinctive CTSME designation, with a hand-signed and sealed certificate printed on acid-free paper suitable for framing, plus a personal letter of reference explaining the very broad and very deep knowledge you have to offer. Unlimited repeats of exams means guaranteed to pass. Unlimited repeats of courses means refresh your knowledge anytime, jump in and out of courses as needed. To get the CTSME Package, put the four Certification Packages in your cart then apply coupon 1277 to get a savings of $300! 2. Then hit the back button on your browser to come back here and click here to also add CVA to your cart. 3. Then hit the back button on your browser to come back here and click here to also add CWA to your cart. 4. Then hit the back button on your browser to come back here and click here to also add CTA to your cart. 5. With products L4210, L4213, L4214 and L4215 in your cart, proceed to checkout. 6. Apply coupon 1277 to get the discounted price and check out. Get a discount on CTNS certification plus VoIP certification. Package deal: put both products in your cart then apply coupon 1275. 3. With products L4210 and L4214 in your cart, proceed to checkout. 4. Apply coupon 1275 to get the discount and check out. Get a discount on CTNS certification plus VoIP certification and wireless certification. Package deal: put three products in your cart then apply coupon 1276. 4. With products L4210, L4213 and L4214 in your cart, proceed to checkout. 5. Apply coupon 1276 to get the discount and check out. Package deal: put both products in your cart then apply coupon 1278. 1. Click here to add CTA to your cart. 3. With products L4214 and L4215 in your cart, proceed to checkout. 4. Apply coupon 1278 to get the discount and check out. 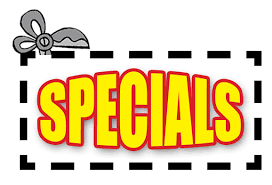 50% off the regular price, with any seminar registration or purchase of any DVD-video set. This is a limited-time offer and may be withdrawn without notice. Order now to take advantage of this great offer before it ends. Plus $7.95 shipping/handling in US 48 states and Canadian 10 provinces. We'll ship your book by ground as soon as we receive your payment. Pay by credit card for immediate shipping. 2-3 persons: 10% discount each. Use coupon 1076 during registration. 4 persons: 20% discount each. Use coupon 1080 during registration. 5 or more persons: 25% discount each. Use coupon 1081 during registration. You may also download a fax-in registration form, or call us at 1-877-412-2700 to register your group. Space is limited and may sell out, so please register as early as possible. A special 40% discount is available if you buy five or more "seats" at the same time. You can assign them to five people immediately, or assign them to a few people now and others later on. There are no time limits. Read all about it in the faqs. Enter a group registration and use coupon 1269 at checkout. Procedures and instructions for entering a group for Online Courses, Certifications or Certification Packages are provided when you click the "group registration" link on your myTeracom home page. You must be signed in to proceed. You may also call us at 1-877-412-2700. It would be our pleasure to set up your order in the system for you. Differentiate yourself from the rest of the crowd when applying for a job or angling for a promotion, with solid knowledge of telecom and network technology – and Certification to prove it. The prestigious TCO Certified Telecommunications Analyst CTA Certification is the most comprehensive telecommunications certification available, demonstrating to employers that the holder has broad and deep telecom, datacom and network knowledge. TCO CTA Certification is a very strong indication of the strength of your knowledge of telecommunications: the whole story, and the big picture. Sixteen online courses are included to prepare you for the CTA Exam, written in 16 modules. You'll earn Telecommunications Certification Organization Certified Telecommunications Analyst certification: concrete proof of your telecom, datacom and network knowledge for current or future employers. You get unlimited repeats... which means guaranteed to pass if you're willing to do the work. You may purchase the CTA Certification Package on its own (that is the lowest-cost way to get your CTA). on your myTeracom home page go to Register for Online Courses & Certifications, and under "Certification Packages", click on "CTA Certification Package" then click the "add to cart" link. Verify that item L4215 is the only item in your cart. 3) In the box labelled "add coupon to order", enter 1096, then click "Update Cart". If you are qualified, the discount will appear and the cost reduced to zero. Click "Proceed to checkout". Check out. A link to your Dashboard will appear. There, you will see the courses and exams the CTA certification. 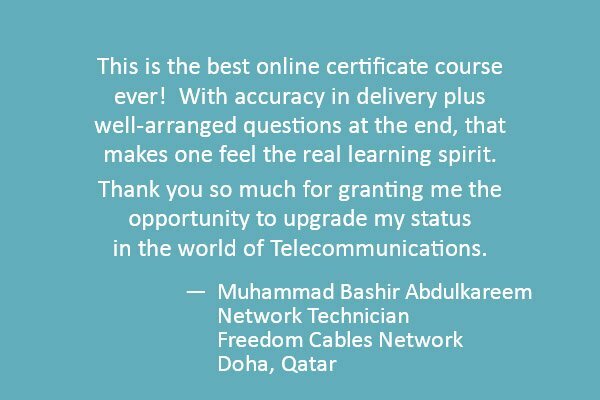 The core knowledge needed in telecom today with six high-quality online courses covering all major topics - plus TCO CTNS Certification to prove it! The internationally-recognized CTNS Certification is the core network knowledge required by anyone serious in the telecom world. 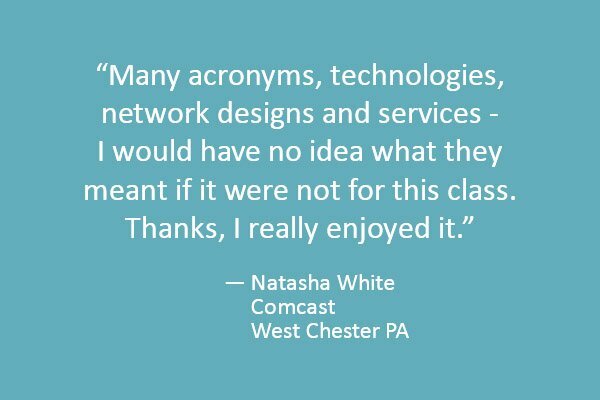 CTNS covers all major topics including telecommunications fundamentals and the PSTN, cellular and WiFi, Ethernet, LANs, IP packets, addresses, routers and networks, MPLS and the Internet. The coursework for CTNS is a set of six high-quality online multimedia courses and/or the CTNS Study Guide. You may purchase the CTNS Certification Exam on its own (in conjunction with the CTNS Study Guide eBook, this is the lowest-cost way to get your CTNS). The online courses are an excellent way for seminar attendees to refresh knowledge in the future, and a second pass through key areas for video course students. 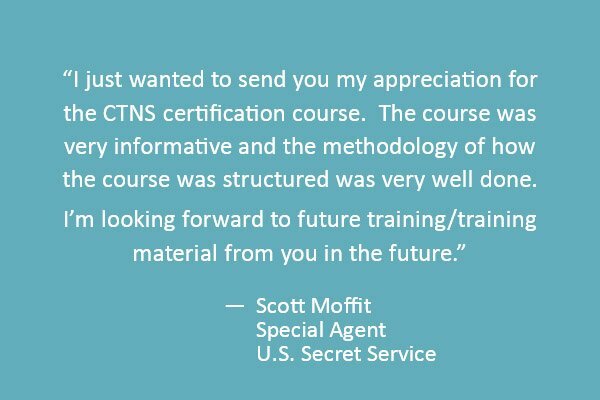 The CTNS Credential is internationally-recognized. The CTNS Exam, consisting of 60 multiple-choice questions in six modules, is shorter than the CTA Exam. on your myTeracom home page go to Register for Online Courses & Certifications, and under "Certification Packages", click on "CTNS Certification Package" then click the "add to cart" link. Verify that item L4210 is the only item in your cart. 3) In the box labelled "add coupon to order", enter 1179, then click "Update Cart". A link to your Dashboard will appear. There, you will see the course and exam modules for the CTNS Certification Package. 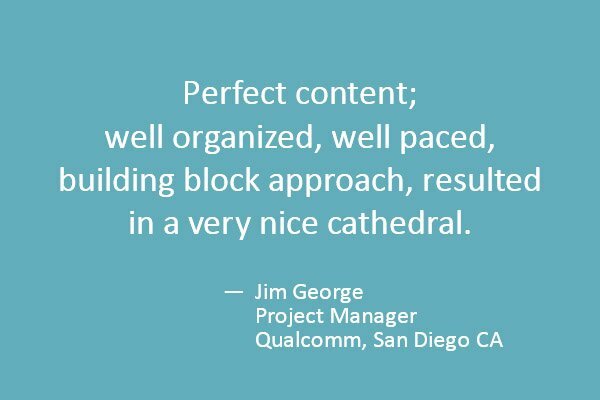 The core knowledge needed for today's IP-based telecom with six high-quality online courses - plus TCO CVA Certification to prove it! CVA covers all aspects of Voice over IP, including all the different ways VoIP is implemented, how calls are set up with softswitches and SIP, how voice is packetized and the factors affecting sound quality, connecting to carriers and SIP trunking, and network quality with MPLS, Service Level Agreements and Class of Service. The online courses are an excellent way for seminar attendees to refresh knowledge in the future. The TCO CVA Credential is internationally-recognized. on your myTeracom home page go to Register for Online Courses & Certifications, and under "Certification Packages", click on "CVA Certification Package" then click the "add to cart" link. Verify that item L4214 is the only item in your cart. 3) In the box labelled "add coupon to order", enter 1290, then click "Update Cart". A link to your Dashboard will appear. There, you will see the course and exam modules for the CVA Certification Package. Course 2221 Fundamentals of Voice over IP – $49 value, free! The seventh course in the series of six. Upgrade offer. Buy CTNS first, then order the free course as a second transaction. Valid for all purchasers of product L4210 Certified Telecommunications Network Specialist CNTS Certification Package, past and present. 2. Check out and pay for the CTNS. 3. Return here and click here to add Course 2221 to your cart. 5. Add coupon 1261 to reduce the price to zero and check out. The coupon will only work if you have previously purchased L4210. means Guaranteed To Pass if you're ready to learn ... and refresh your knowledge anytime. If for any reason you change your mind during the 30 days after purchase of online telecom training, get all your money back. You have nothing to lose - and a marketable certification to gain!